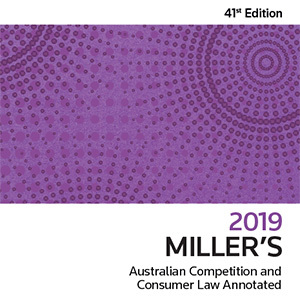 This 41st edition of Miller is your essential resource for keeping pace with legislative and case law developments in competition and consumer Law. Businesses and advisers need to come to grips with the Competition and Consumer Act as it impacts on various aspects of day to day corporate activity. 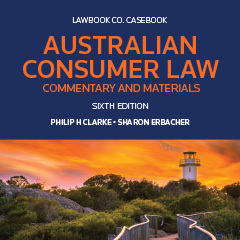 This new work contains up-to-date material on the Australian Consumer Law which came into operation on 1 January 2011, replacing 17 different pieces of Commonwealth, State and Territory legislation relating to consumer protection. 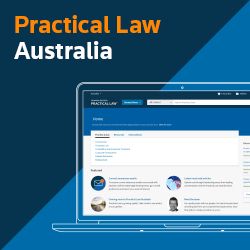 Practical Law provides practical, simple guidance to competition and consumer protection law, and detailed legal analysis to primary sources, to help you and your team decide what questions to ask, what law applies and why.